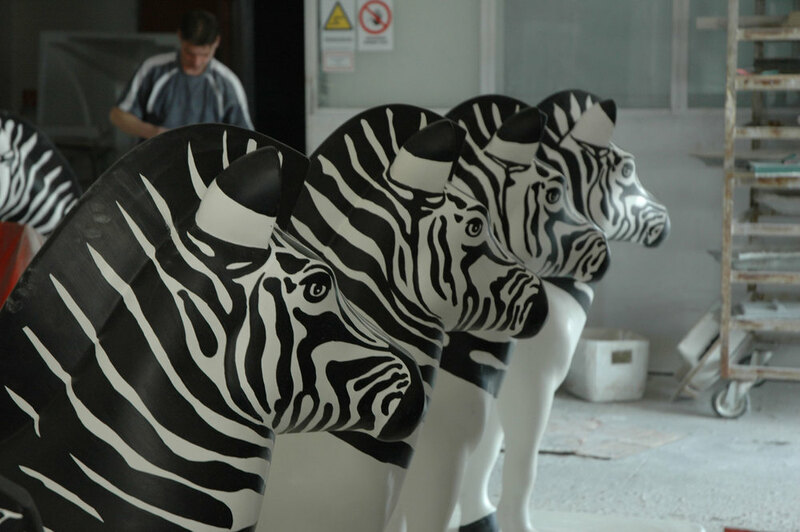 The Zebras were installed in front of, or close to, the district’s 19 schools as reminders to motorists to reduce their speed. 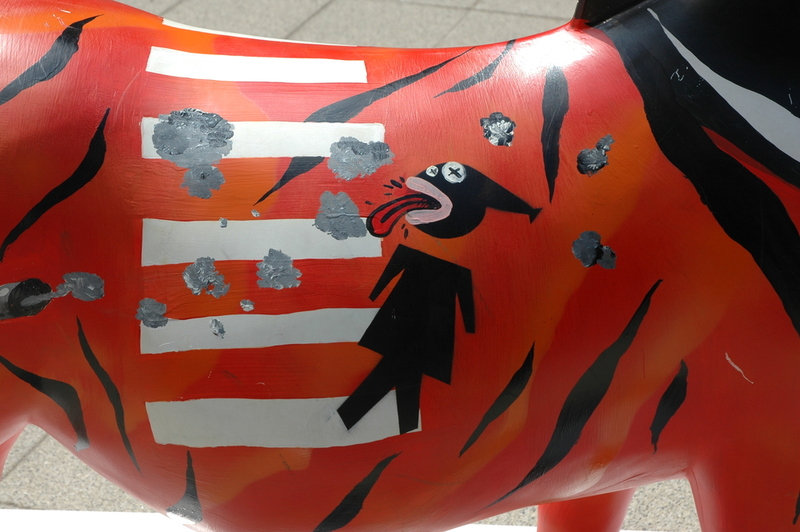 The goal of the project was to draw attention to the deterioration in street safety in the capitol city. 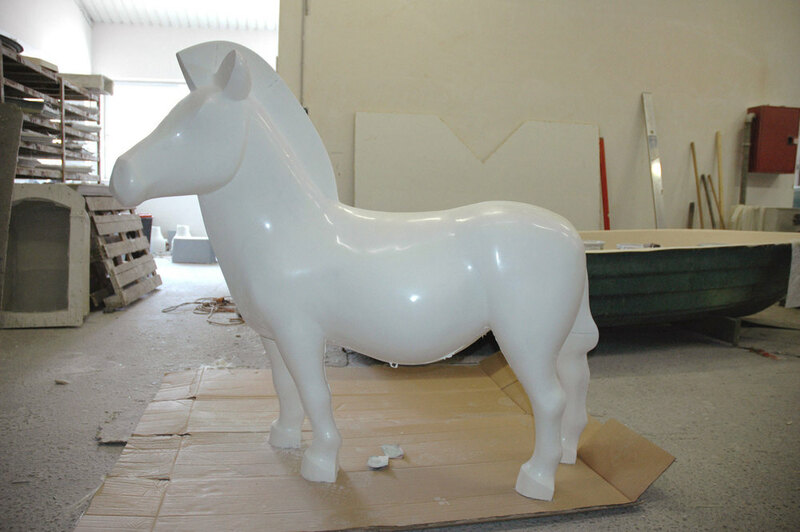 The sculptures were designed with exterior conditons in mind, as well as considering their adoption as toys by the children. 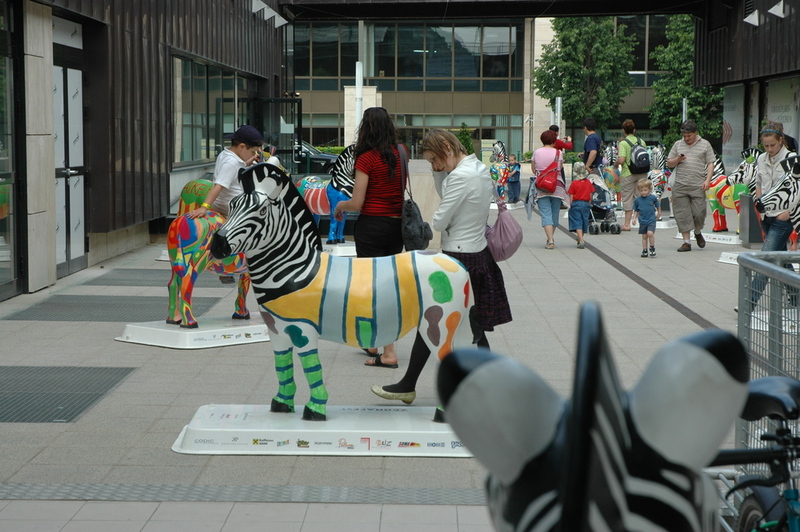 The Zebras were serially produced from fibreglass reinforced polyester, and left white to be decorated by the children who won the school’s drawing contest.